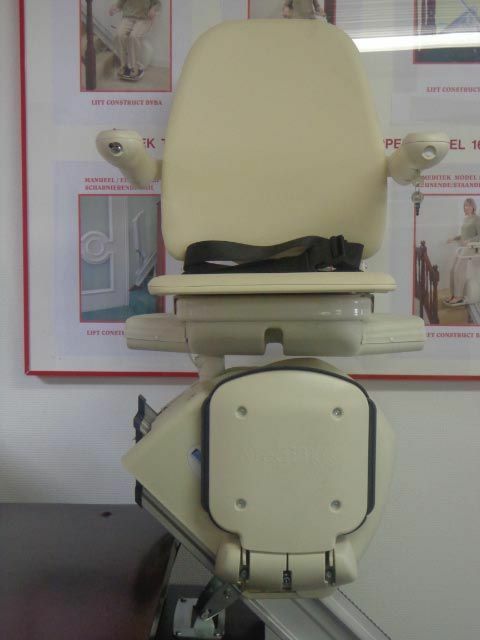 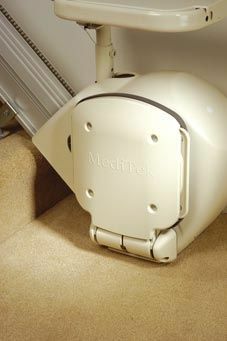 Meditek model 120 Economic (120 Kg lifting capacity in the standard color beige) this model has a very economic pricing, see our promotional offer. 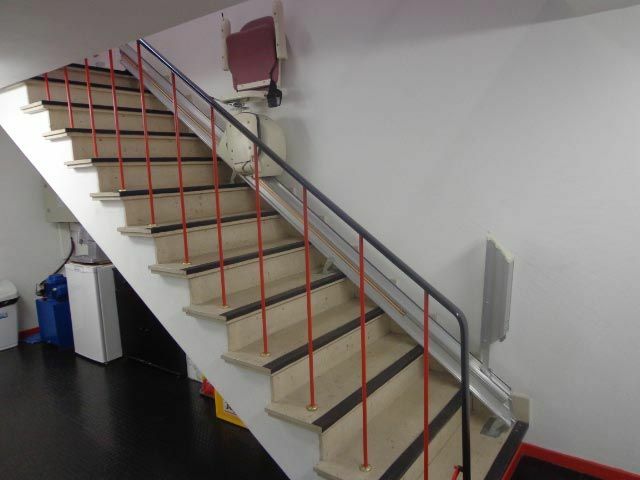 These three types are designed for installation on straight stairs with a gradient up to 55 ° and a minimum stair width of 630mm. 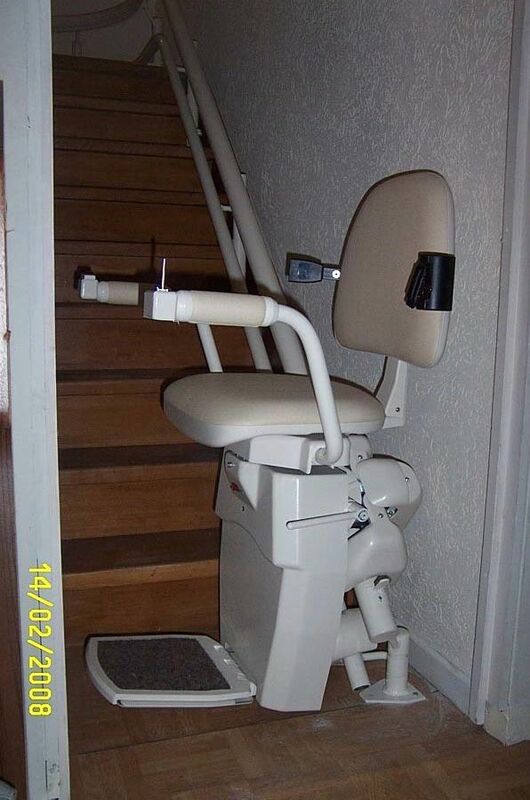 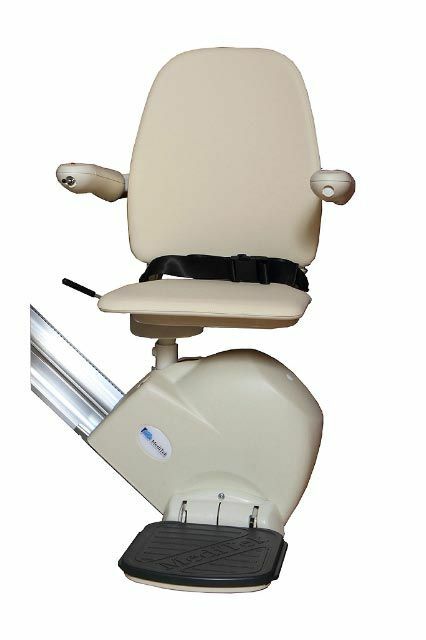 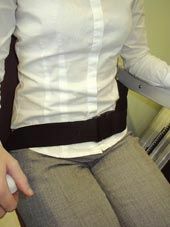 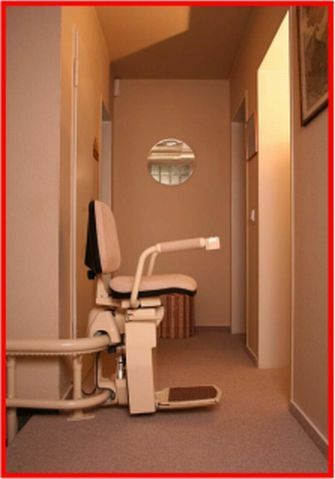 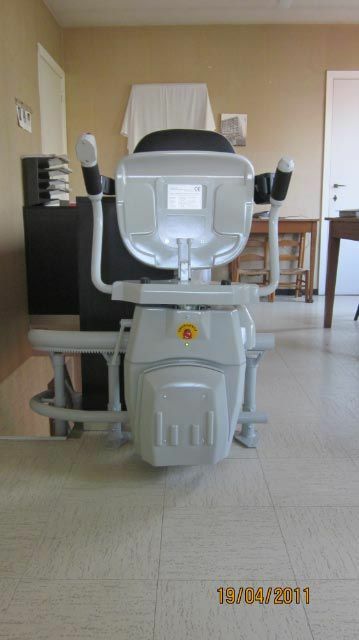 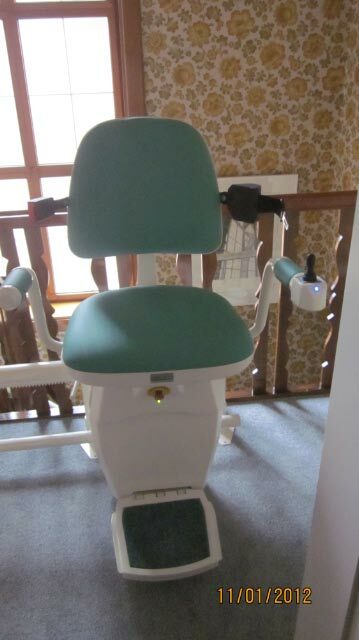 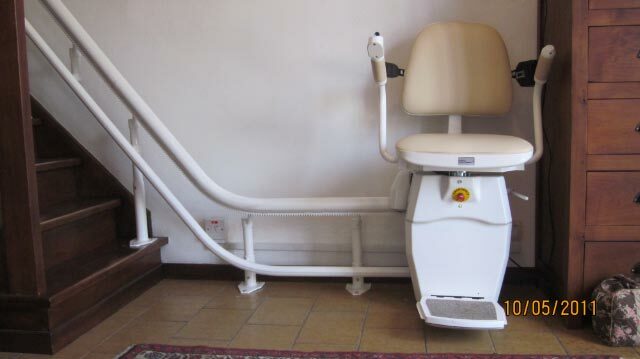 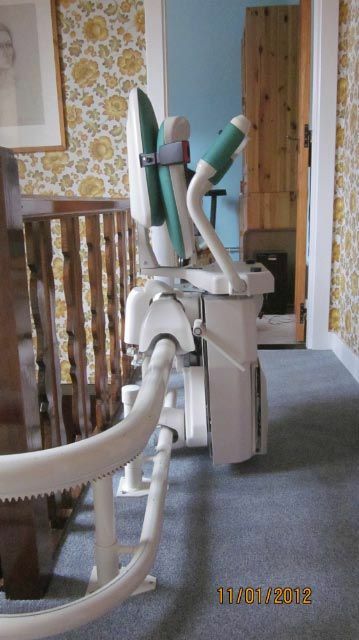 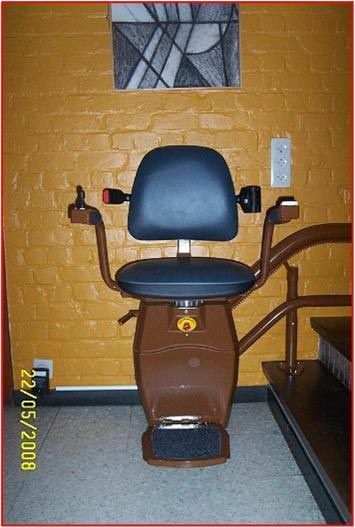 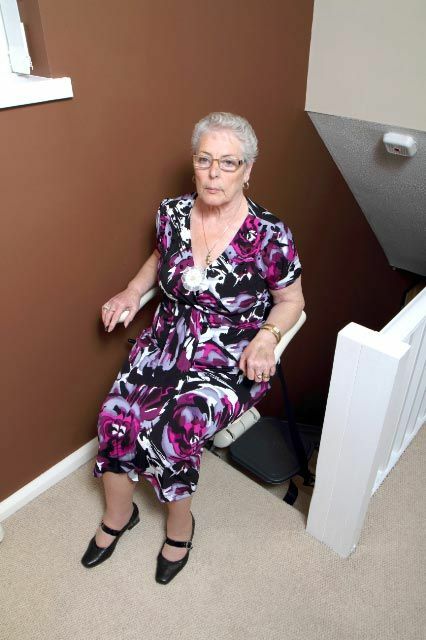 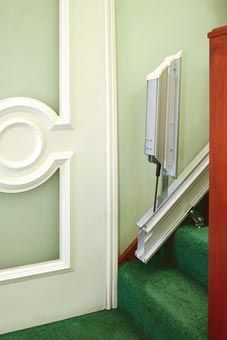 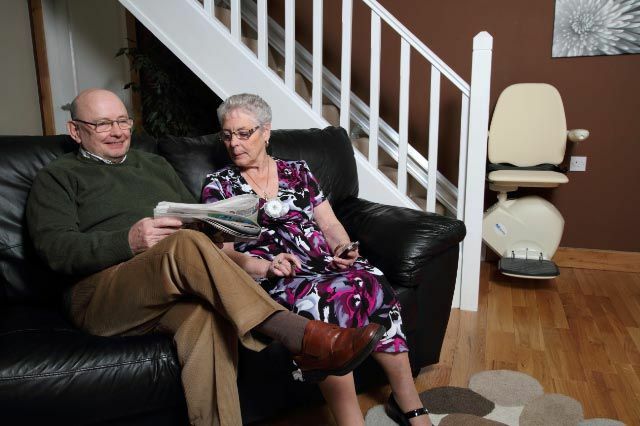 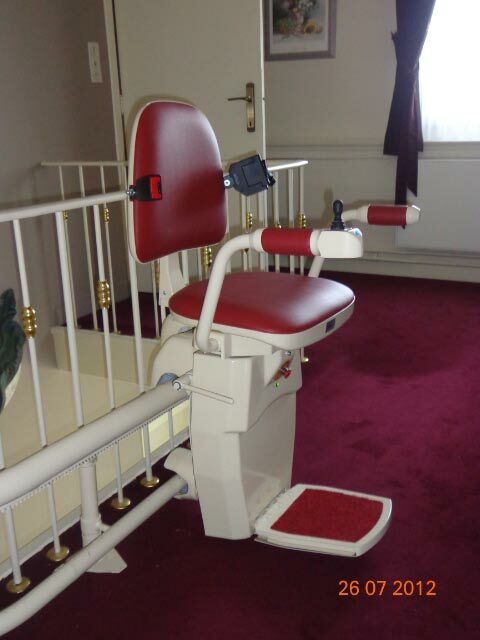 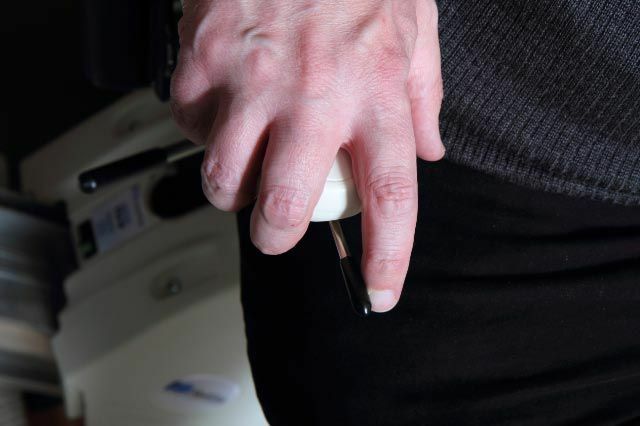 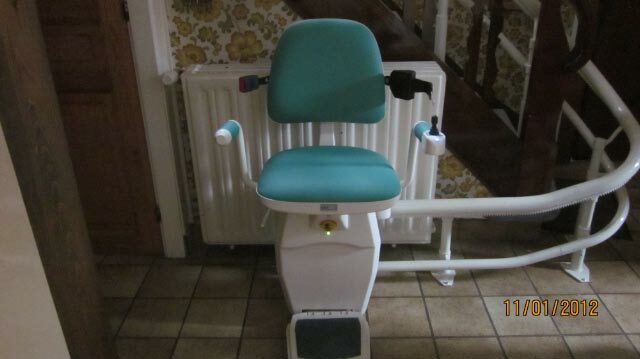 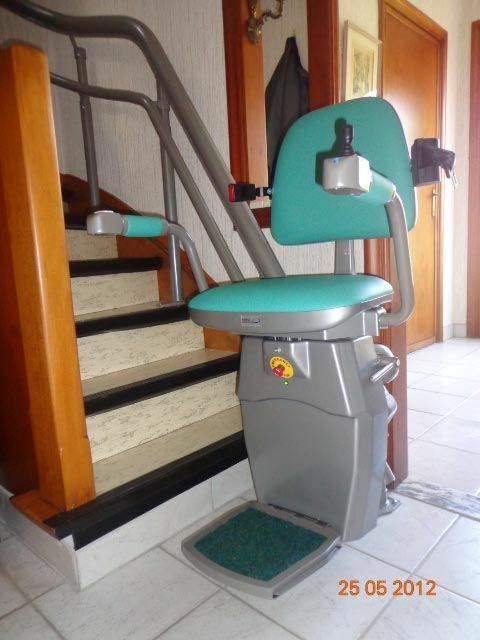 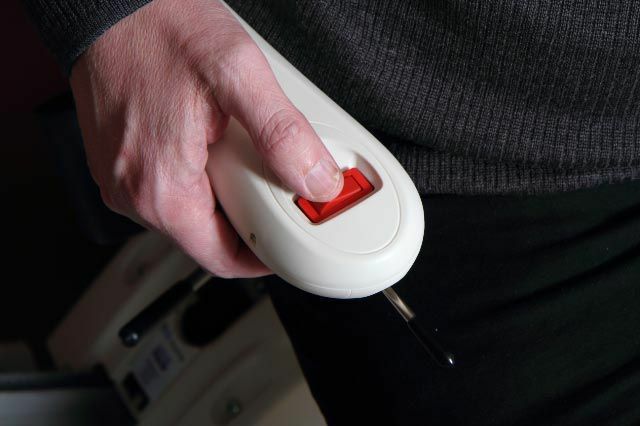 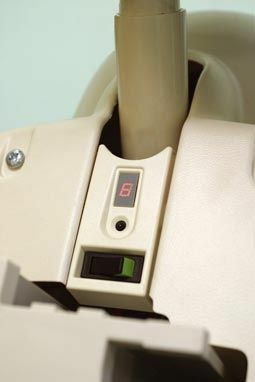 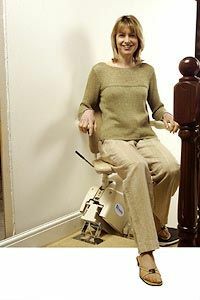 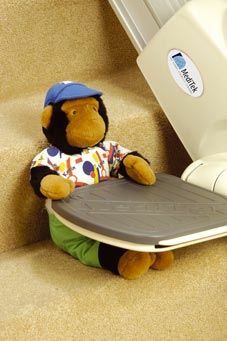 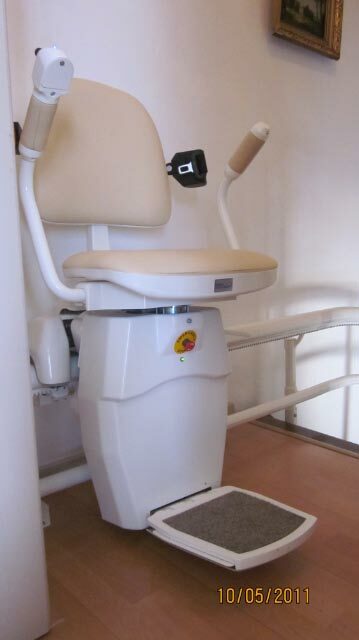 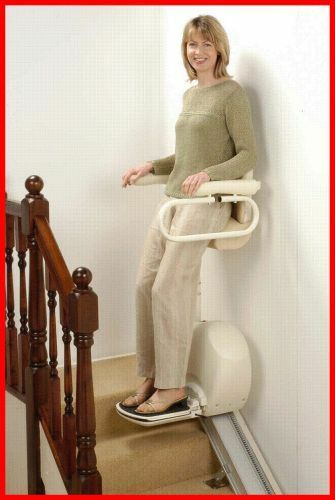 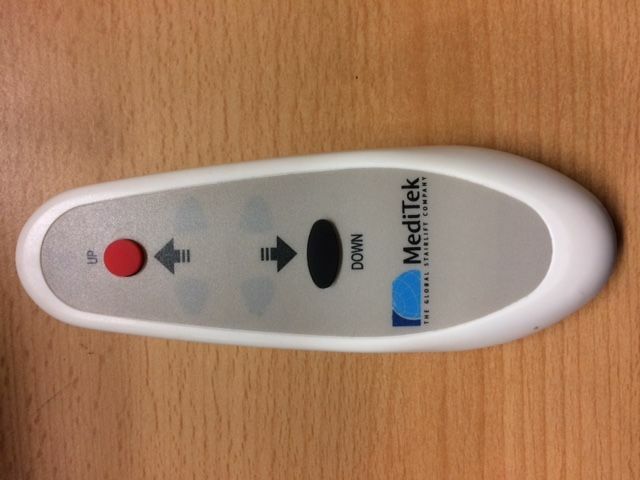 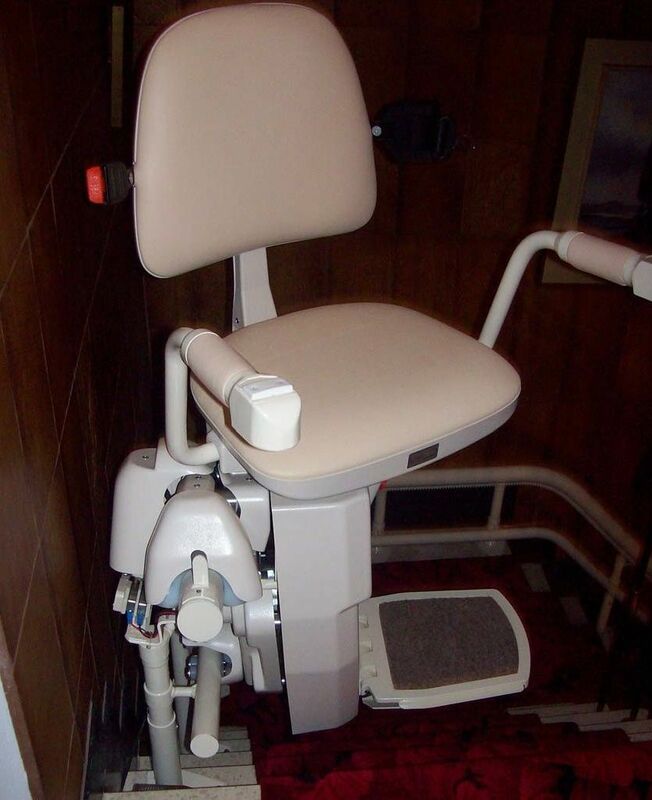 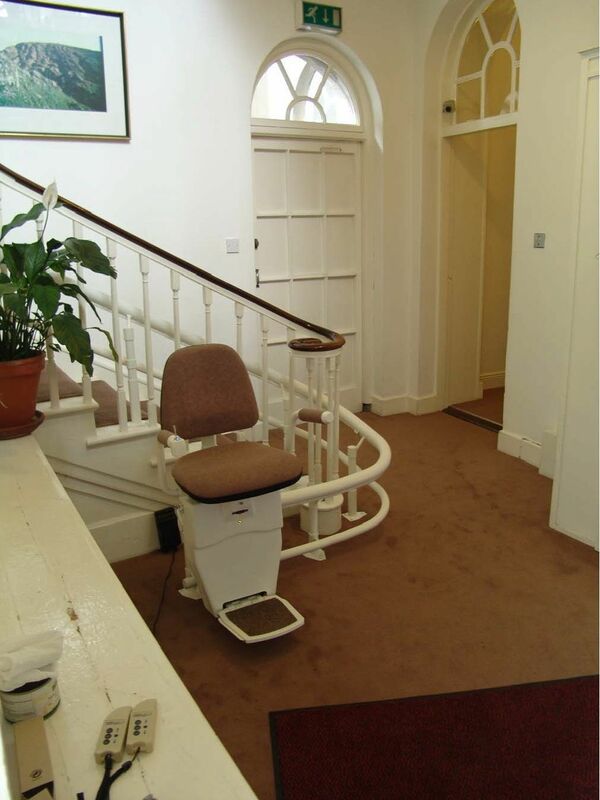 By default, the stairlift is fitted with a manual turnable sit, safety belt and two wireless remotes. 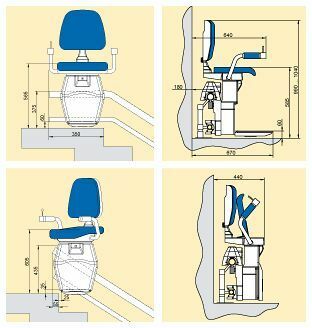 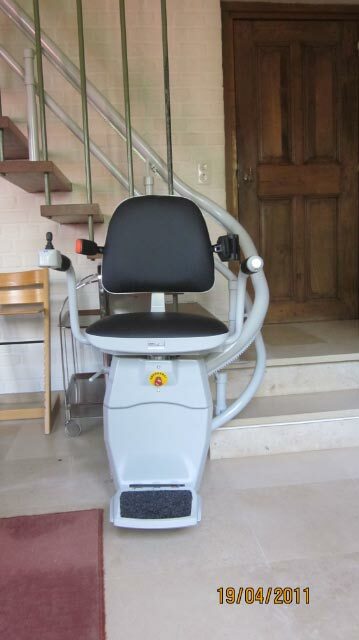 Various options such as manual or electric folding rail, electric turnable sit and different colors for the upholstery of your choice are available. 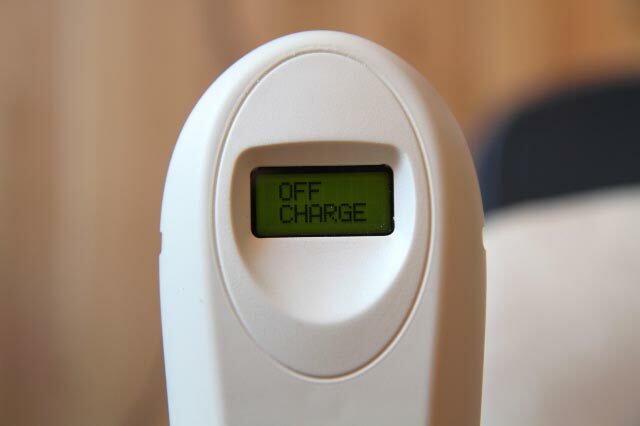 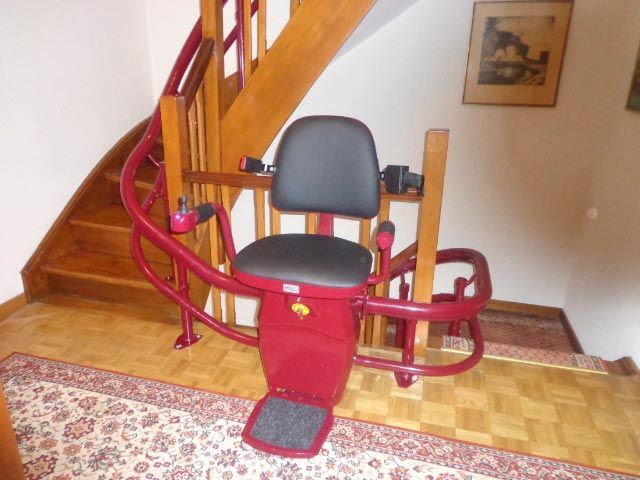 All 3 versions operate with a 24V/DC-engine running on built-in batteries, ensuring that the stairlift is still working at a power cutoff. 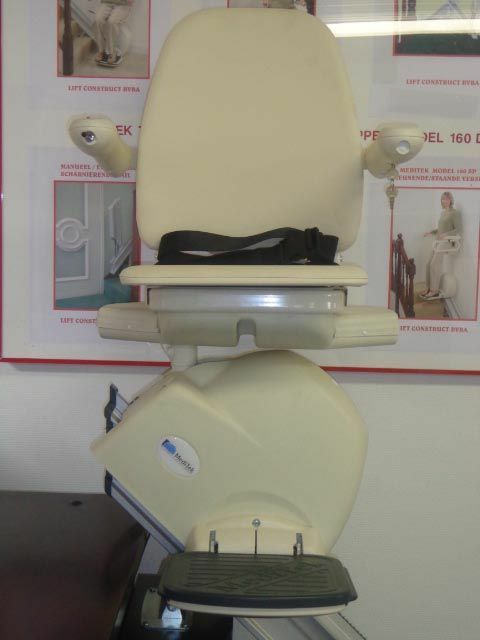 Both devices also have a European CE certificate. 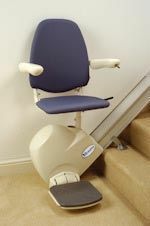 The type “HW10” is a stairlift for curved staircases with several bends and therefore a minimum distance of 730mm is required between the wall and the railing of your staircase. 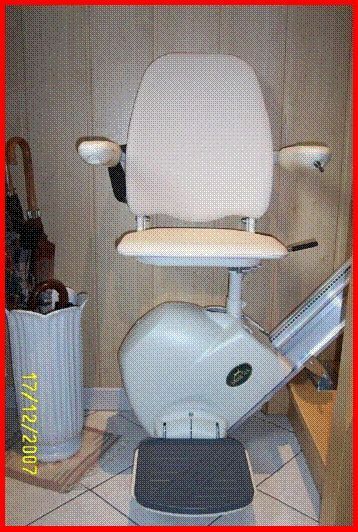 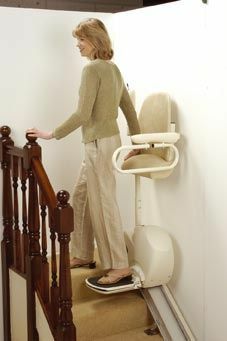 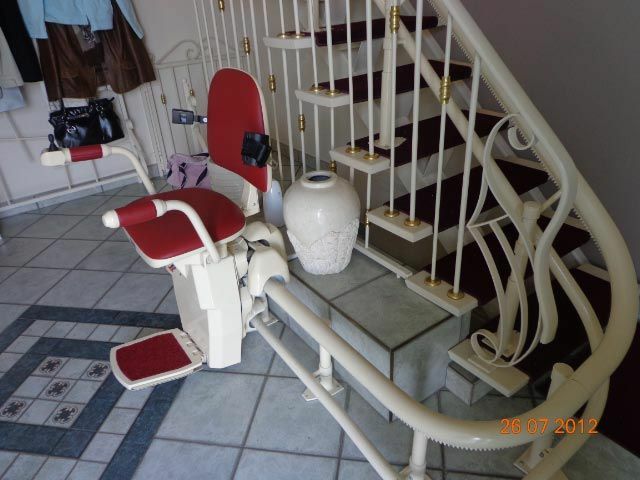 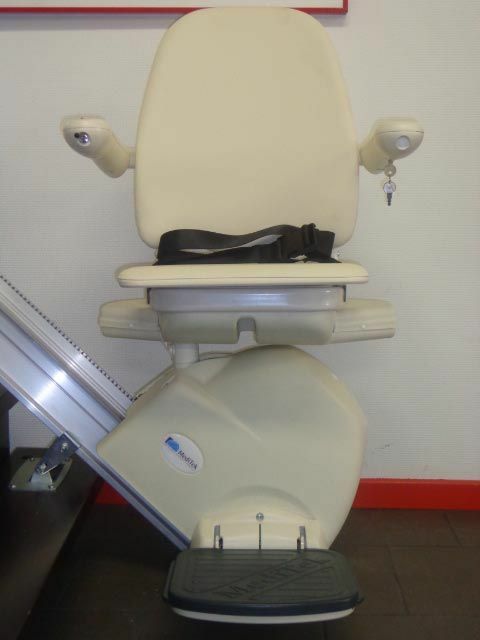 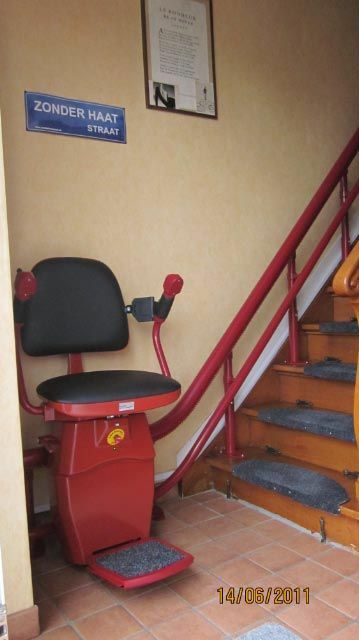 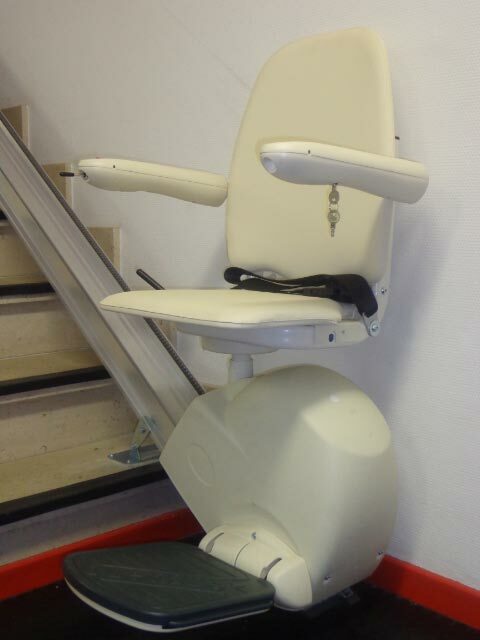 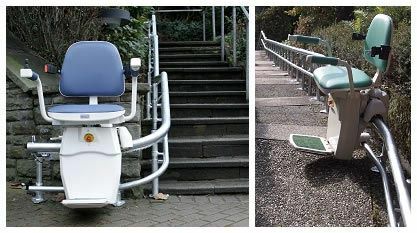 By default, the stairlift is delivered with a 75 ° rotating electric sit, seat belts and two wireless remotes. 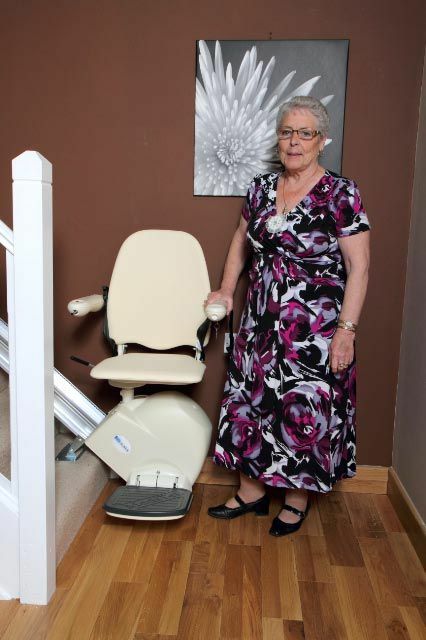 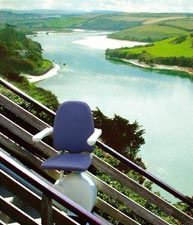 The exact price for your Hawle "HW10" stair lift will depend on the configuration of your staircase, the length of the track, the number and type of the curves, and can only be given after a noncommittal check-up on location.